Our engineers are Microsoft qualified and competent, even more important, we are a friendly bunch and always helpful. Total IT Services can visit your Office, Factory or Home to fix your problem TODAY. Our phones are answered directly by our engineers so no waiting in queues for help or raising "tickets". We do not use sales staff, only Computer Engineers. Please call us for a no pressure chat about your requirements - Lichfield 01543 898183 . - Total IT can assist your business with Microsoft Servers, Exchange email servers and PC computer and laptop faults. Total IT Services also provides computer maintenance contracts and Server replacement and office relocation's. EMAIL PROBLEMS, PRINTING, DATA RECOVERY, SERVER MAINTENANCE, SERVER SUPPLY, VIRUS REMOVAL, PC COMPUTER REPAIRS, NETWORK CABLING. IT Support Lichfield, Need Help With your PC, Server or Network? We are a well established local IT Support Lichfield computer services business - We cover the Staffordshire and Midlands area. Our Engineers are friendly, polite and qualified. 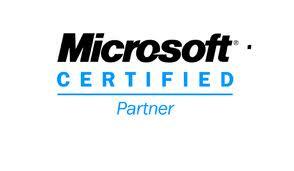 We are also Certified Microsoft Small Business Specialists. We understand the needs of small to medium business. We offer a complete technical service ranging from minor PC Computer, Laptop or Server repair and upgrades to email problems, full network installation and office moves or relocation. Customer service and satisfaction are second to none to us - we have a 100% client retention history over our 7 years of business. We do not use sales people, we are purely computer engineers that focus on our clients technical issues. Microsoft Server, Windows PC or Laptop issue needing a repair or upgrading? IT Support Lichfield Staffordshire. Need Help With Your Small business Servers or Network? We come to you, no matter where your problem is! No call out fee for lichfield based business or home customers, we even offer a same day call out. Server failure? Response time for a major outage is critical! If you need us urgently, we are normally with you in minutes - and not hours of a critical failure. Let us help you plan your business IT systems and Server disaster recovery plan. 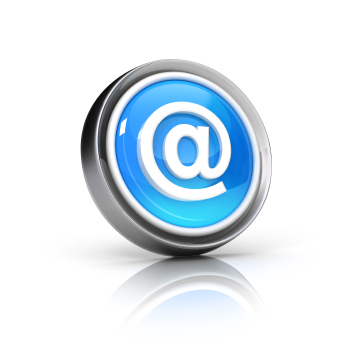 Remote Working Assistance dial in from everywhere to your email and important documents. You can also operate your PC in the office from anywhere as if you are sat at your desk. We can help you work from almost anywhere. "Our company has been using Total IT services for the last 4 years and I have always been really happy with the service. As a small but ever expanding business, IT systems are vital and we always get a very quick reply to emails and calls and a prompt resolution to our issues. I also find it useful that we get things explained in plain English! I would be very happy to recommend Total IT to other companies or individuals"
Lichfield based recruitment office with 41 PC's and multiple Servers with branch office. Lucy Chatting, Managing Director. Chattings Limited Lichfield. We are still supporting Windows XP! There is currently a drive from suppliers to push businesses to upgrade to later operating systems, we believe that XP was always the best tool for business being both ultra reliable and easy to use and we do understand that as a business owner you may want to keep running Windows XP. Total IT computer services will be helping our clients to keep running XP for as long as they wish. We can assist by add security to computers and networks running Windows XP to help keep it as secure and reliable as possible. We will also assist with Windows XP computer repairs and maintenance for the foreseeable future. We will be on hand for if and when you decide that it's time to replace or upgrade computers with later versions at a time that suits you should you want to switch to Windows 7 or later operating systems. We will look after your office or factory network regardless of Windows versions as we have many years of experience meaning we have seen and repaired most problems contact Total IT for IT Support Lichfield and Staffordshire areas. If you would like to find out more about IT support Lichfield, please give us a call today at the Lichfield office. We have no sales people to pressure you - You will talk directly with qualified IT support engineers that will get you the help you need as soon as possible. Our sole purpose is to provide businesses with what they need - continuity. We will first do all that we can to make sure you have no network/server outages, if you should have a problem we will fix it as quickly as possible. 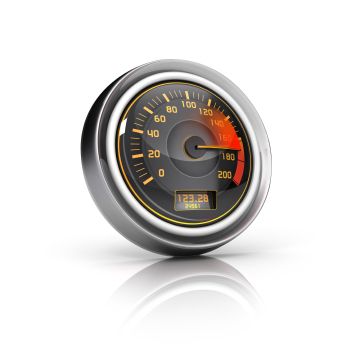 Most of our long term clients have never experienced a server or network outage at all. IT Support Lichfield. We can help to look after your current Microsoft Server, Exchange email server and PC computers and laptops or offer advice on Server and PC repair and replacement or even help you plan your IT strategy for your new business. Microsoft Server, Exchange Server and Small Business Server, upgrades for slow running systems or server upgrade migrations. Monthly IT Support Maintenance Contracts. Multi site connectivity for branch offices, VPN and home working. Windows 2000, XP, 7, 8 and 8.1 computer repair. We support Microsoft Servers 2000, 2003, 2008, 2012 including small business server 2003, 2008 and 2011. we can assist with upgrades, repairs and maintenance. If you have and urgent server failure or network problem - please call for immediate assistance. Laptop repair - such as laptop screen replacement and hard drive replacements. 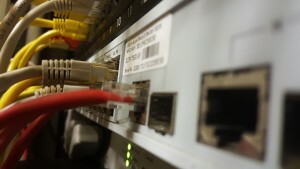 Network installations including data cabling and network speed upgrades. Virus removal and Malware removal, antivirus supply and installations. Data recovery - from accidentally deleted files to hard drive failure issue. 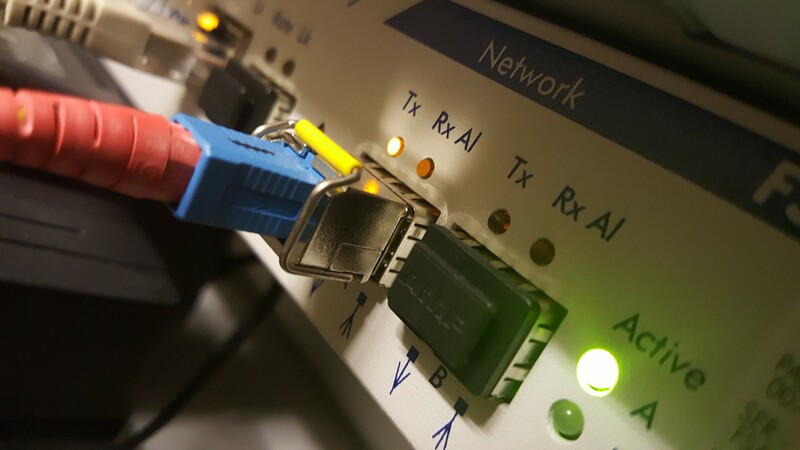 Internet and wireless connection faults, we can also provide temporarily internet connection if your ADSL broadband is down. Upgrade slow broadband to Fibre broadband, including BT Infinity (where available) and BT Leased Line Fibre. We can also assist with long range wireless connections. We can also assist with emergency broadband, should you have an internet outage. 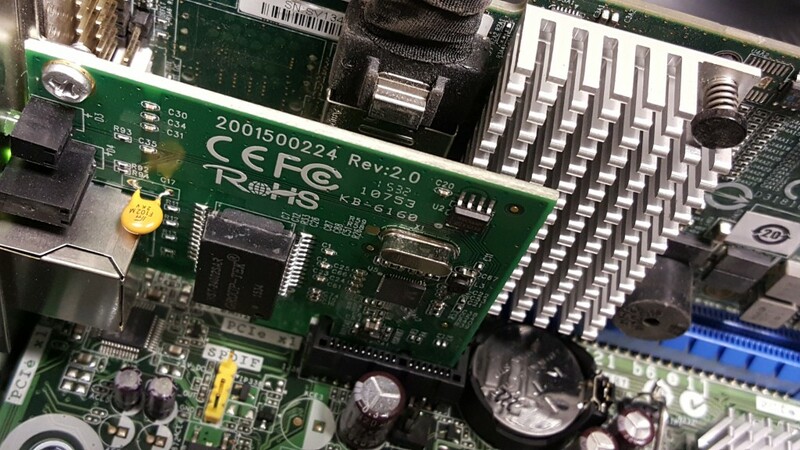 We can perform repairs to your PC or Server at your office, factory or warehouse or we can work on your issue in our workshop, based in Elmhurst Lichfield. Most Issues are fixed the same or next day, depending on what parts may be required. We do keep a stock of power supplies and RAM etc... to cover most urgent issues. IT Support Lichfield and All of Staffordshire. 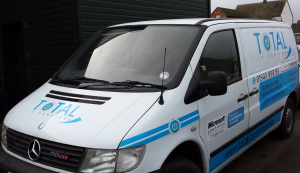 We help local business and home customers with their computer and network needs in Lichfield, Burton, Tamworth, Rugeley, Burntwood, Aldridge, Walsall, Cannock and Staffordshire. Total IT Services are official Microsoft Small Business Specialists, we have Microsoft qualified engineers and are AVG anti virus silver resellers. References from our current clients are always available, in most instances we can even arrange a contact phone number for current clients so you can talk directly to them and get an honest opinion about our business, this will help to give you the piece of mind that you need when looking for a new computer maintenance company. Please check our social media areas where we look to promote our IT Support Lichfield business and feel free to join our group and add comments about your own Server or networking problems. Well it’s been a true pleasure to work with good old Windows XP for all these years. It has been a business favourite as it’s stable and very reliable and is still widely used despite it being over 12 years old. Many offices have ignored later versions of windows as XP did everything they need without any fuss. All good things must come to an end and Microsoft have decided that XP, after many years faithful service, has finally earned its retirement. As from April 2014 Microsoft are dropping support for Windows XP. From April there will be no more updates or critical fixes for security vulnerabilities, essentially this means that when there are new security holes found or viruses created to exploit holes in XP, Microsoft will not be assisting in closing these holes with patches. This is a serious consideration for you and your company due to the safety of your data and network. The PC running XP will continue to function as normal after this April without any visible operating problems, you will only notice the lack of support from Microsoft when there are problems in the future. It’s probably fair to assume that after April XP will be seen as a soft target by hackers as they know that any new security flaws they find are unlikely to be fixed. See more info from Microsoft about XP end of life here. We still have plenty of time to act as three months gives time to plan upgrade paths or PC replacements, it’s worth spending time looking at the in place upgrade paths as most XP upgrades will require the PC to be wiped and reloaded with a later OS. Total IT Services will be on hand to help any local business in and around Lichfield or Staffordshire to plan and update any PC’s needing updating from XP. Windows XP End of Life Update (Jan 2014). Great news from Microsoft! MS announced last month that they are extending the critical support for XP until 2015. We still are advising our business customers that they replace their XP PC’s with Windows 7 or 8 as and when the XP PC’s fail or natrually slow down. This makes for a much more gradual and controlled migration to a later operating system – rather than upgrade all units at once. Keep on top of your backups! With the rise of more advanced viruses, like the the recent cyrptolocker virus. It is now even more important to make sure your backups are setup correctly and even more critical is to check that your Server backups actually work when it comes time to restoring data. Regular maintenance and remote Server monitoring helps us to keep a close eye on your backups, we can make sure that they are running and that there is constantly a copy kept offline – this is an important step in helping to limit the damage that encryption viruses can cause to your business or home files. Give Total IT a call to see how we can help you protect your business with automated backups for your Windows PC’s or Microsoft Server. Total IT Services is an IT consultancy based in Lichfield Staffordshire, providing business computer solutions for small and medium size businesses. We specialise in almost all aspects of computing, we are a one-stop computer solution for your business. Total IT Services is a well established provider and has many years of experience in the computer industry, we are qualified, very friendly, and professional. We work on a daily or hourly rate for our services, dependant on your needs. Our rates are very competitive. If we do not fix the problem that you may have called us out for and it’s something we should be able to fix there will be no charge, so you can be happy that you will receive the best service possible. Need holiday cover for your in house IT support staff? Does your IT support business need help with a problem? If you run an IT company you will from time to time hit problems that you have not encountered before, you may need a little help occasionally with particularly tough Microsoft Server, exchange Server or computer problems or if you simply run out of capacity. You may run a business and have in house IT support guys and they are having trouble with a tricky problem or even if you need to just make sure your office has IT support cover for when you IT Staff are on annual holiday leave we can help. Please give us a call to discuss your businesses needs and see how TOTAL IT SERVICES can help you. We have years of Business IT Support experience supporting Microsoft Computers and Server Operating systems inc Microsoft Windows Small Business Server 2003, 2008 and 2011, Microsoft Server standard and also Microsoft Exchange servers. 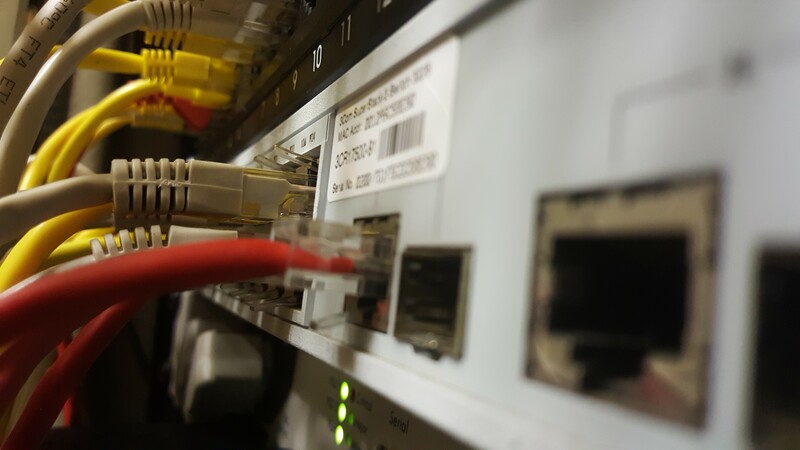 We can help with Router and Network installations as well as worm and virus removal, PAT Testing, Data cabling and Data recovery as well as all the day to day niggles associated with a PC or Server that requires repair, maintenance, updating, upgrading or replacing. We provide every size of business with your own IT support service desk for a fraction of the costs of running an internal department.